Hard work alone is not enough for you to score your best. If you go into the test feeling anything but calm and focused, you risk a subpar performance. This could be the difference between a decent score and a stellar score and being accepted into your dream business school or failing to get in. Learning effective strategies to feel confident and present when you prepare and take your test will help you be more intentional and forceful. Test anxiety can start at any age and typically continues until it is dealt with. Young students to adults get the jitters, in fact, if you feel anxiety, you’re definitely not alone. Test anxiety has continued to increase. In one study, more than half of the 100,000 students visiting Penn State’s campus clinics listed anxiety as a concern. The 2015 National College Health Assessment found nearly one in six college students ,15.8%, had been diagnosed, or treated for anxiety, and in 2014, researchers found that 54% of all college students report feeling overwhelming anxiety, up from 46.4% in 2012 and 35% the years before. If we look at younger students, 61% of high school students reported suffering from test anxiety at least some of the time, and over 26% were afflicted ‘‘almost always.’’ Statistically, student test scores decrease an average of 12% when anxious. City Test Prep provides a robust battery of time management and mindful and holistic solutions for feeling empowered while taking tests. Through our holistic speed reading workshop, MindFlow, you learn how to increase your reading speed up to 5x and through our Full Potential Coaching you learn stress management and anxiety relief techniques. Our therapeutic solutions are customized to each student, and typically the solution is more involved than deep breathing but a much shorter time investment than talk therapy. We have great results from integrating hypnosis, Emotional Freedom Technique, Neuro-linguistic programming, sound therapy, EMDR, building a growth mindset, and an understanding of neuroscience and neuro-plasticity into our students’ test prep regime. These methods consistently allay test anxiety and are among the easiest and quickest ways to help you show up confident, engaged, calm, and focused. I’ve witnessed our test prep students improve dramatically from making huge gains in scores to being able to sit through the test. Some improvements include: 100 points on the GRE, SAT, and LSAT, and up to 230 points on the GMAT, by simply incorporating these techniques that optimize their mindset. These same methods provide an edge to present as your best self–including for interviews, presentations, negotiations, etc..
Our speed reading and optimal mindset tools help you on your test, and will last you a lifetime. Bara and CTP Full Potential coaches work with students up to 5 hours, only, to help students with the emotional aspect of taking tests. For more information about Bara Sapir’s revolutionary Full Potential approach, visit her website, here. Tests don’t only measure what you know, tests measure how well you take tests. How well you take tests involves your response to how and what you perceive the tests measures beyond test content. It also rewards or penalizes how you emotionally present for tests. The Full Potential technique aligns each student intellectually, physically, and emotionally, increasing confidence and focus, while reducing anxiety and stress. Full Potential methods are based on thoroughly researched human potential techniques, including mindfulness, hypnosis, Neuro-linguisic programming, Emotional Freedom Technique (EFT), sound therapy, Reiki and more. The Full Potential curriculum offers individual coaching and tutoring, classroom setting workshops, private intensives, an upcoming certificate training progam for educators, and an audio series. This program for personal empowerment can also be customized to complement study, professional development, and self improvement. *If you have been diagnosed by a mental health professional, we will need to speak with him or her prior to the first session. All sessions are strictly confidential. We can connect you with the very best tutors for your admissions test or board exam. We have tutors all over the country ready to help you! 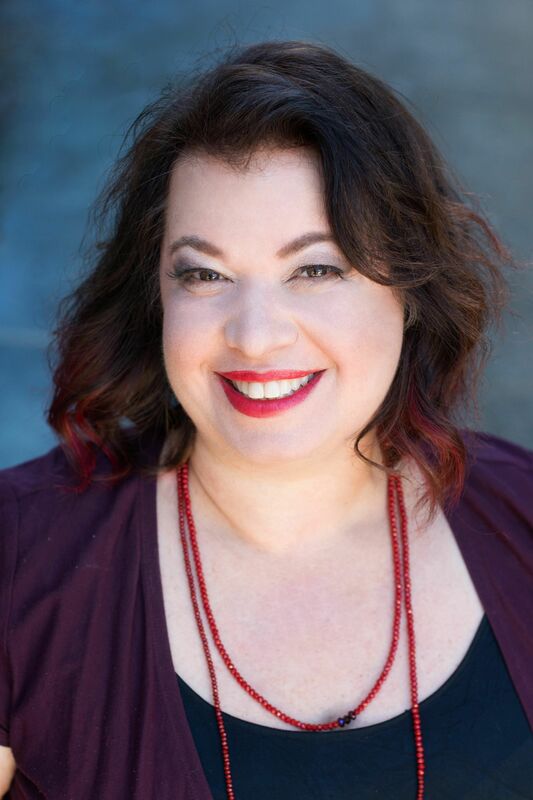 Bara Sapir, CEO/Founder of City Test Prep and CTP Full Potential Coaches help you make shifts by disrupting the patterns and habits you present in taking tests that don’t serve you. They help students reduce or eliminate test anxiety, manage stress, and help with chronic under-attainment. You need only have goals and dreams to fulfill. They create individualized multi-disciplinary ‘curricula’ and coaching, designed for you to achieve your desired level of productivity, creativity, in relations, and/or in meeting goals. In just ONE session, they radically help students go from scared and pressured to assured, empowered, and embodied in their test-taking. Success is the result of mastering skills and integrating sustainable models of being present and grateful. Tools are shared through interactive coaching modes and draw from creative, holistic, and mindful modalities. She works with clients hourly and through intensives. Soon, educators, tutors, therapists, and parents will be able to be certified in her Full Potential method, currently exclusively offered through City Test Prep/Test Prep New York, and Test Prep San Francisco. Out session was fantastic, especially the relaxation techniques. I am inspired an eagerly await future sessions. I can tell this is just what I need. Thank you again. I haven’t felt this positive about the exam since I started studing. I already have the confidence and conviction that i will succeed. Since 2000, Bara Sapir has provided effective solutions for students struggling with anxiety and focus when taking high stakes tests. Bara is a pioneer in blending the learning process with the equivalent of sports psychology and positive psychology for test takers. Bara understands the pressures students face from family, school, teachers, peers, and themselves to perform at a higher level. And these are skills you will use in life! The shifts that occur through coaching are fairly immediate. Our full coaching program for students caps at 5 hours. That’s all you’ll need! The first step is to have a free-15-minute phone consultation for us to get acquainted and see if I am a good fit for what you are seeking. We’ll then take inventory of your expressions of stress and anxiety. Session 1: 90 – 120-minute customized session to ‘fire your inner critic,’ learn progressive relaxation techniques, identify moments of peak performance, and apply these to initiate change. We address your individual triggers and symptoms, then teach you skills to respond different to these at a cellular level. You receive a 70-minute audio for relaxation and focus, as well as additional recordings of other exercises to do on your own, if applicable. Sessions 2 – 4: These sessions address additional issues which come up around your studying and performance, including eliminating panic attacks during your exam. I draw from a variety of holistic and mindful tools including hypnosis, NLP, EFT, EMDR, Mindfulness, Sound Therapy, and Visualizaiton. Additional resources and ongoing support is available. Through each session, you learn ways to eliminate distraction and noise, enter a state of flow, and engage with your task with the most presence and calm. You can expect your anxiety and stress to be greatly reduced or eliminated completly. You borrow the benefits of these techniques to witness positive changes in feeling confident, calm, and focused in subsequent tests, interviews and other experiences you find stressful. Whether you’re preparing to speak to an admissions person for middle school, high school, or college, or interiewing a for a job, Full Potential skills help draw out your inner superstar so you are able to shine. In situations when you feel judged, rise to the occasion, and show your best self. Through our 2-session interview support protocol you learn ways to show up, stay present, and wow your interviewer. Does test-taking you sweat? Does you mind wander? Does you want to do better? We can help. Lower your Test Stress, Improve your Focus and Enhace Performance!